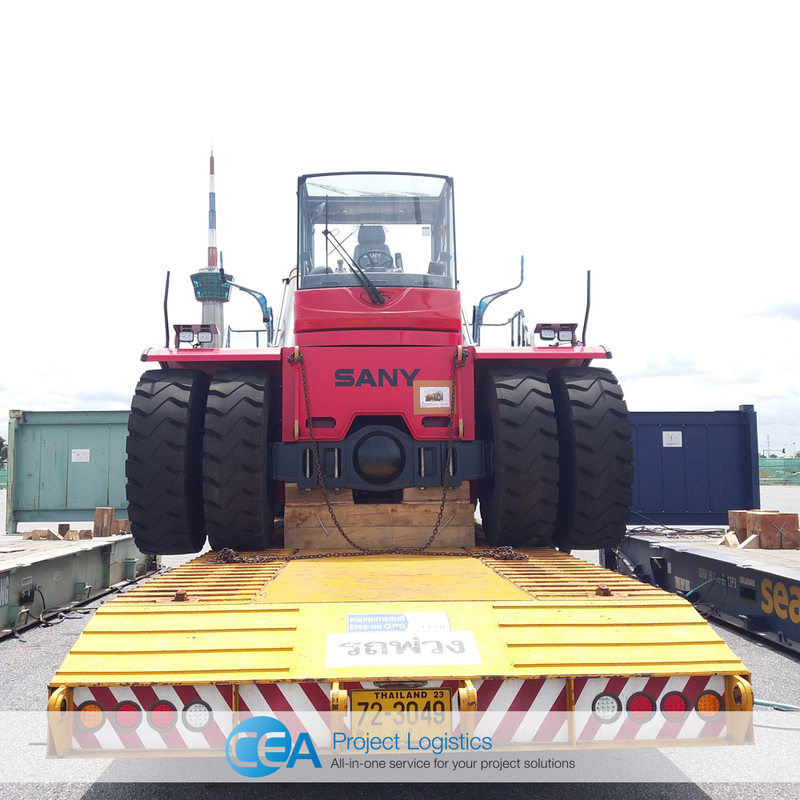 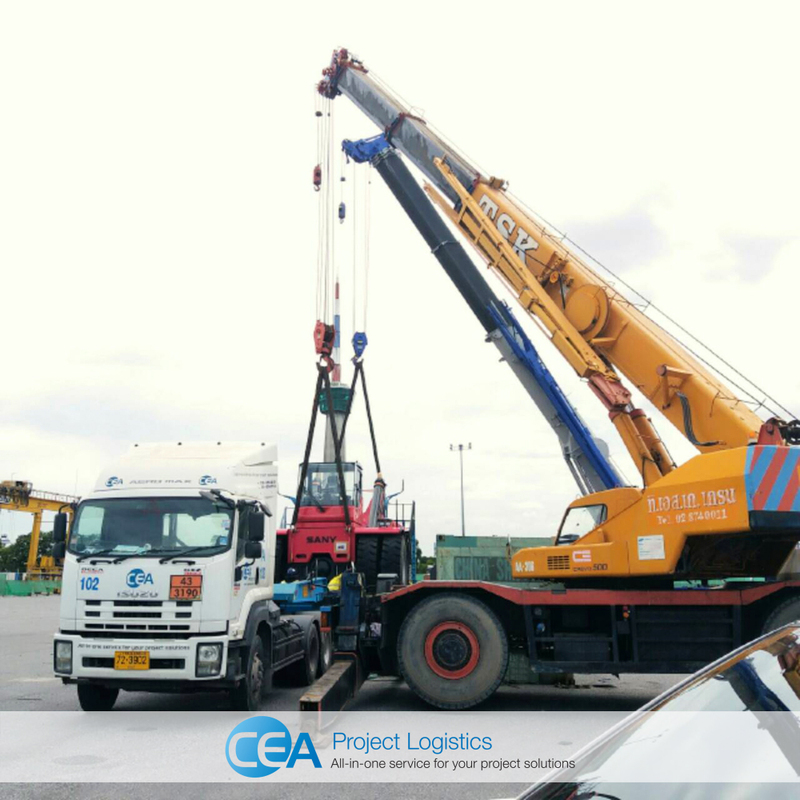 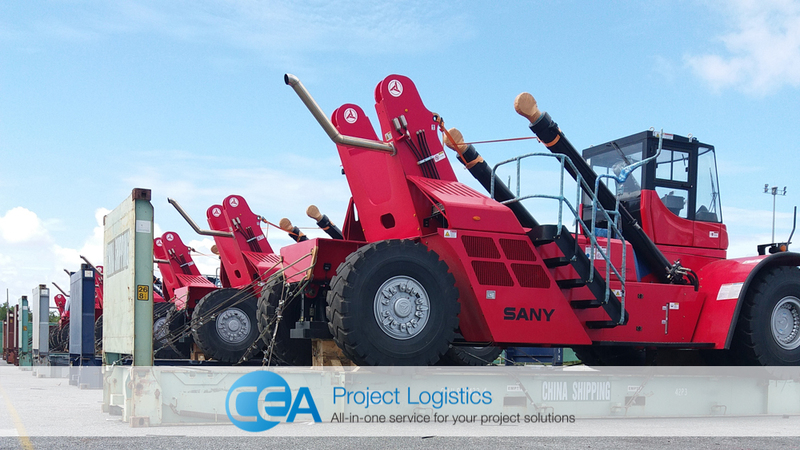 CEA Project Logistics Thailand recently carried out the transportation of eight container Reach Stackers and their accessories to the Kerry container yard in Laem Chabang, Thailand. 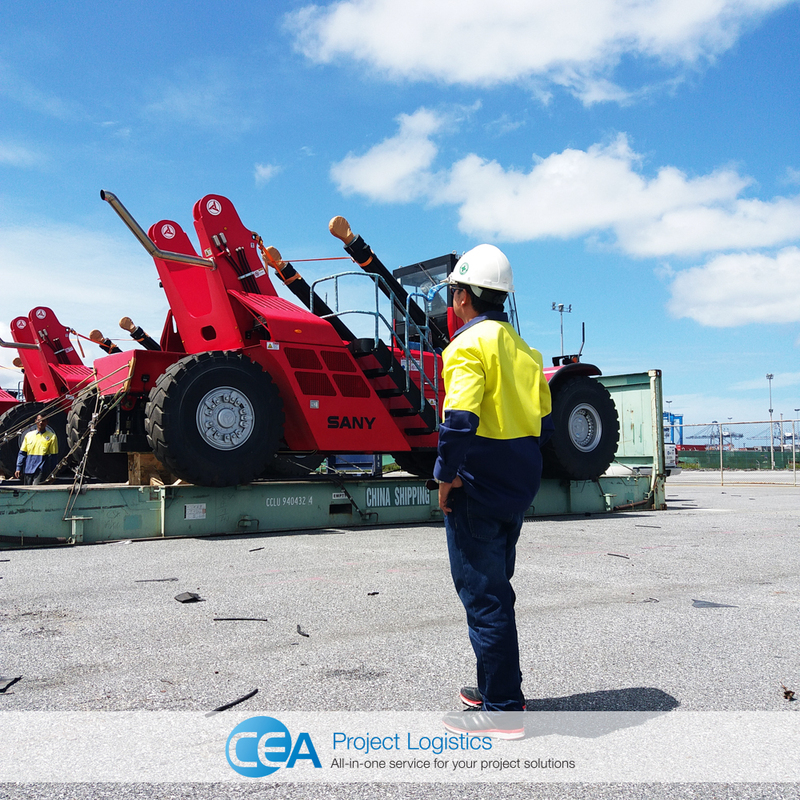 CEA Teams used two 50 Tonne Mobile Crane to unload each of eight reach stackers from their Flat Racks onto Drop-Deck trailers. 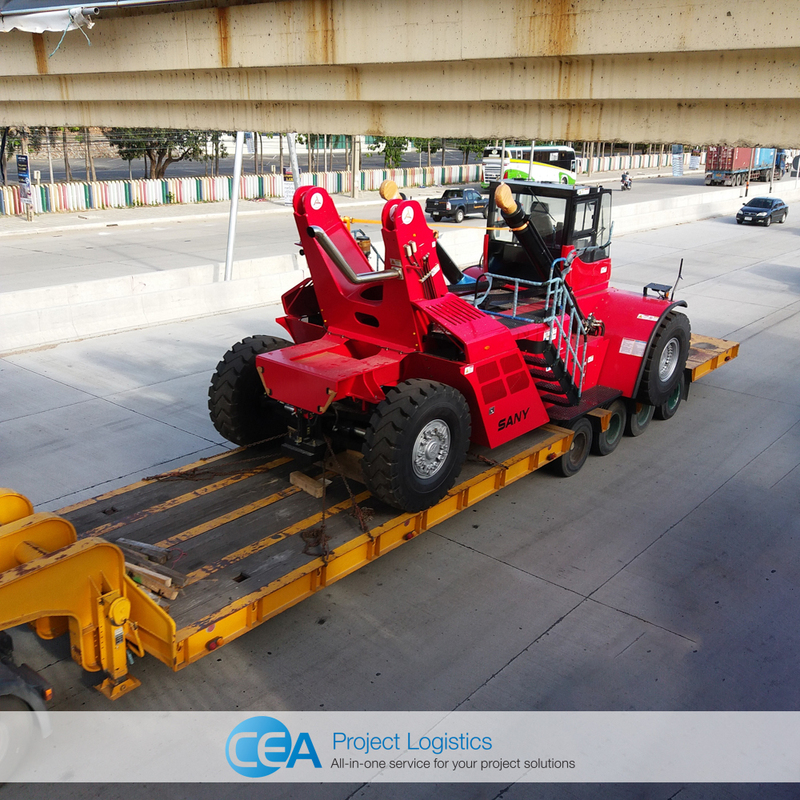 The CEA Rigging Team secured the vehicles in place with chains and prepared them for transportation. 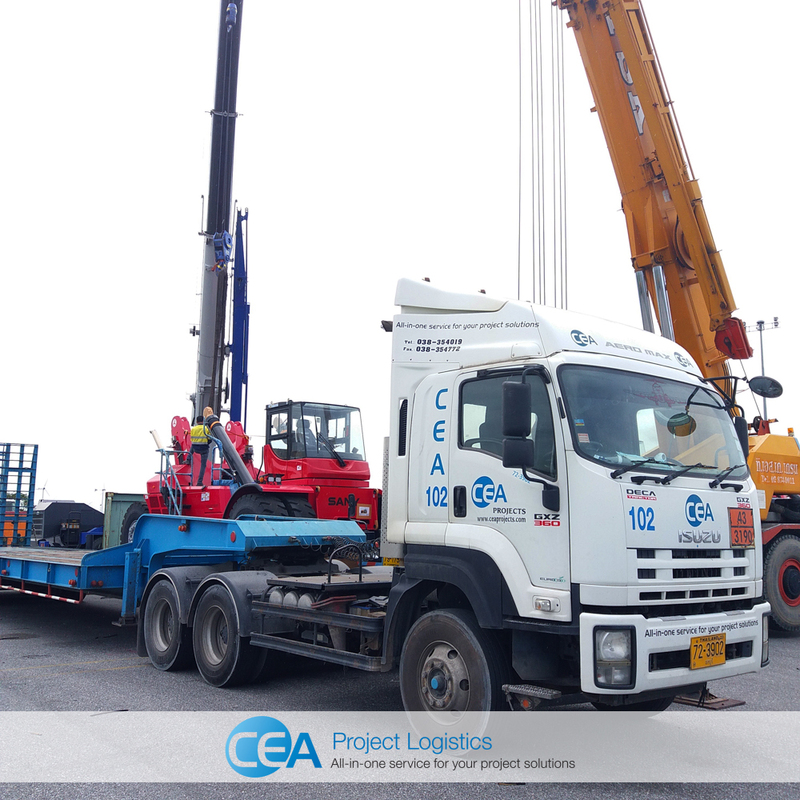 Accessories and other parts were transported in 18 40ft High Cube containers by CEA Prime Movers with flatbed trailers.